The orange symbolises hope and triumph. It stands out. It’s different – just like the WCRC!! 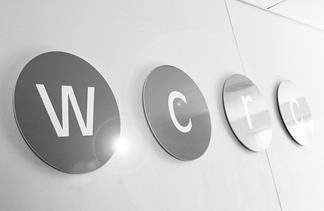 Our Logo is graphic, distinctive and memorable – just like the WCRC!! The four ‘bolletjies’ indicate movement, the wheels of a wheelchair and the 4 letters of the organization “WCRC”. Our lively logo celebrates the triumphant spirit of not only persons with disabilities, but also our own history. Born out of the amalgamation of the Conradie Hospital Spinal -and General Rehabilitation Units and Karl Bremer Rehabilitation Unit in 2004, the WCRC has had to undergo adaptation and change. We are evolving into a world-class learning organisation. What does the WCRC stand for? The WCRC is a ‘flagship’ for rehabilitation services in South Africa. Our R100m new facility was designed and custom-built with the participation of the disability sector. The WCRC believes in participative management and participative goal setting by our clients. We put the client first. WCRC is about highly motivated, goal-driven team members. WCRC is about friendliness, compassion and above all quality of service.